ProMax® offers a multitude of options for reporting information from a simulation. Callouts, Property Tables, and Property Stencils display values on flowsheets within a model, the Scenario Tool® can run numerous cases automatically and present the results in an Excel workbook, and the Report Button can create external reports in various formats - including Word documents and Excel spreadsheets. One additional, extremely powerful reporting tool is a User Defined Report Template, which allows for the construction of completely customized Excel reports. Whereas the Report Button uses a default layout for items selected by the user, a User Defined Report Template gives unlimited freedom in designing reports and displaying information however and wherever desired in Excel. The report can include any blocks, streams, or other objects in the Project, and the appearance can be personalized to include colors, borders, logos, flowsheet images, and more. 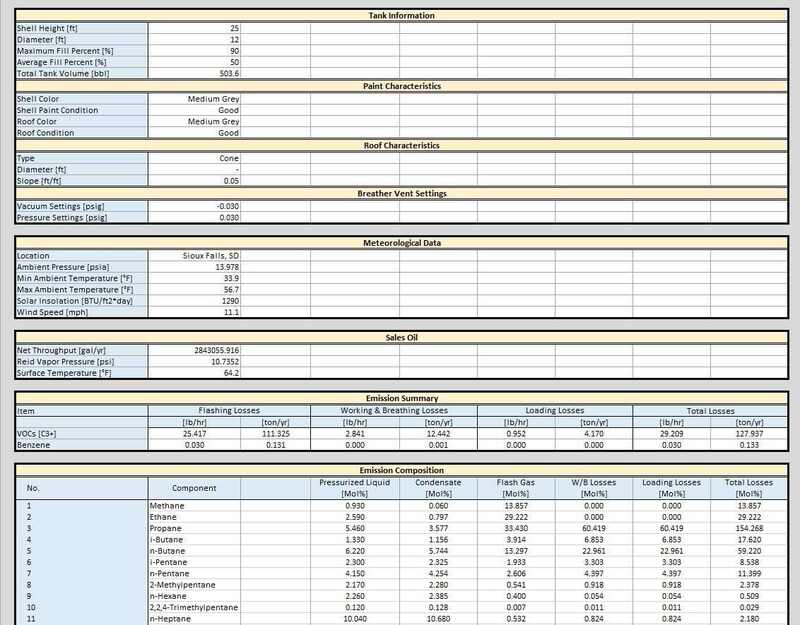 Equations, functions, macros, and VBA code can also be incorporated in the report template to allow for the automation of some extended calculations in Excel. Three examples of User Defined Report Templates are below. 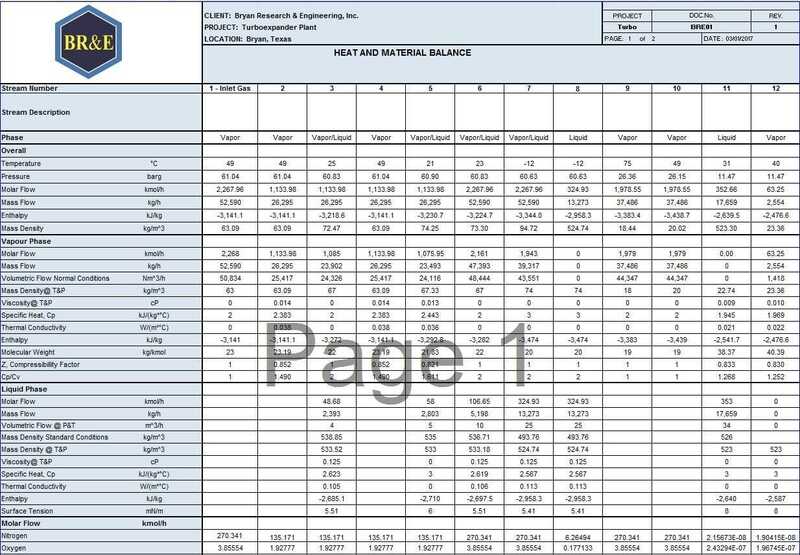 The first is a report template that creates an energy/material balance sheet for a plant. 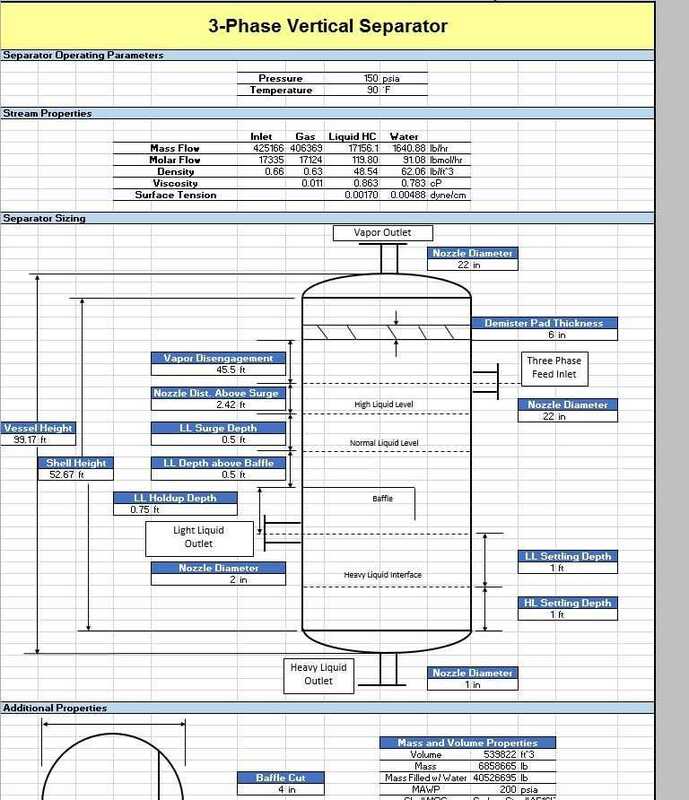 The second example is a sample of what can be made for equipment specification sheets, in this case the sizing of a 3-phase vertical separator. The third example is an air emissions template that reports relevant information about tank loss estimations. Another valuable feature of User Defined Report Templates is that they can be linked with the Scenario Tool to create either a single report with all the scenarios included or individual reports for every case that is run. For example, if air emission inventories need to be calculated on several different well sites set up to run with the Scenario Tool, a separate emissions report could automatically be created like the one above for each well site. To learn more about reporting in ProMax, check out the ProMax Help or watch the video tutorial here: ProMax Reports. For any questions, or for help creating a User Defined Report Template, please contact our BR&E Support Team!